As you probably have figured out by now, we love reading and helping children learn to read and write. Dr. Seuss, naturally, is one of our heroes. 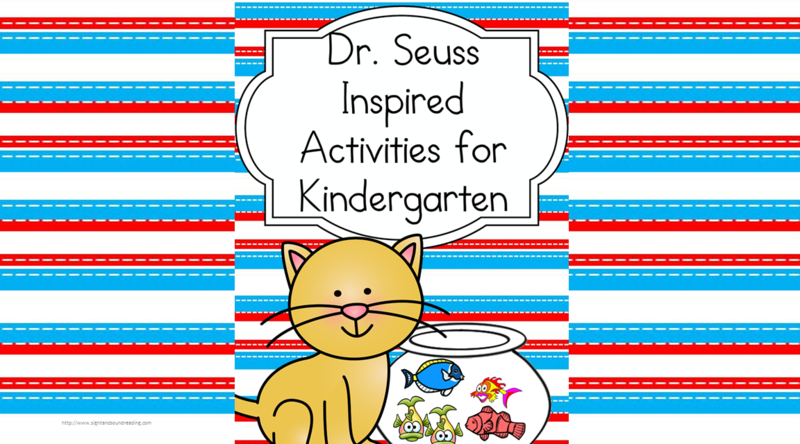 So, Today we bring you Dr Seuss Activities for Kindergarten. First, here are a few of our favorite Dr. Seuss Books… (we especially love the newly released book What Pet Should I Get?! 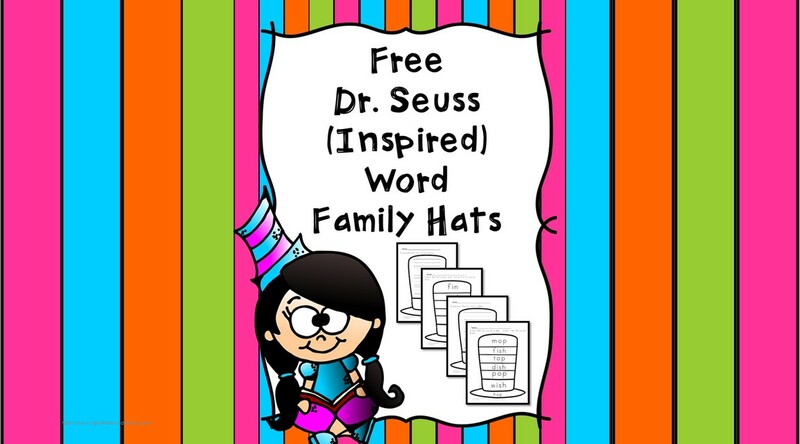 Dr Seuss Word Family Hat–Make phonics fun with these Dr Seuss Word Family Hats! 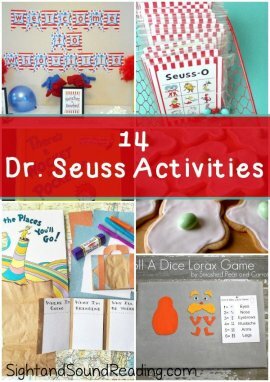 Dr Seuss Worksheets –Adorable fun, paid worksheets inspired by Dr. Seuss books! 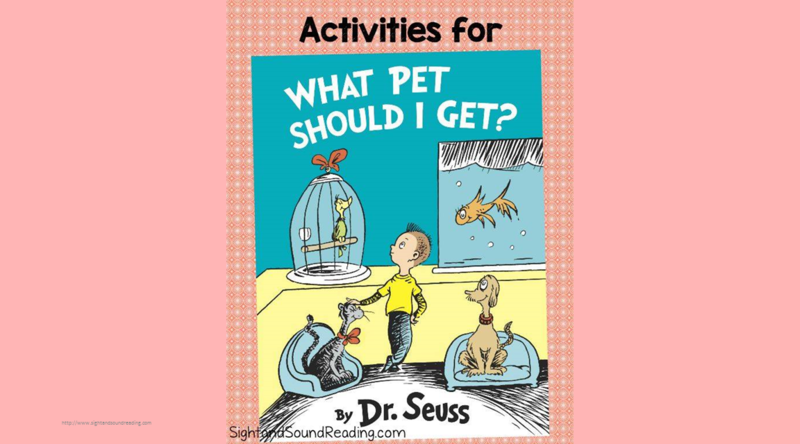 What Pet Should I Get Activities –Fun ideas to go along with Dr. Seuss’s newest release! Teach your little ones letters (or sight words for the older kids) with this positively adorable memory game inspired by the book Red Fish, Blue Fish. 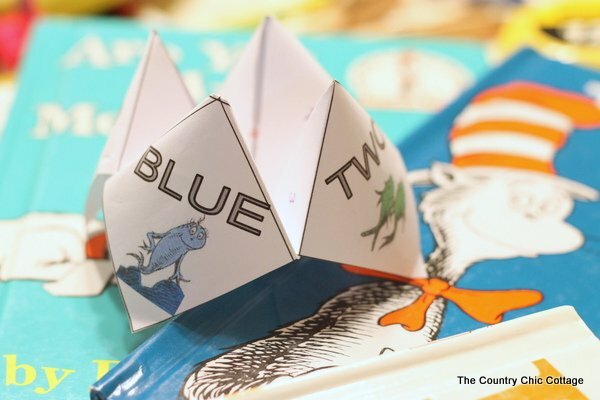 Here is a FREE printable Dr. Seuss inspired cootie catcher. It makes a great table game for birthday parties or a cute variation of Valentines. Story time will be so much more fun with these “Cat in the Hat” hats. Have your kids make these super easy paper plate hats and then settle down with the iconic book The Cat in the Hat. Make these “Truffula Trees” from The Lorax with pipe cleaners, yarn, pompoms, and play dough. Use this craft makes a cute centerpiece for a birthday party table or even a decoration for your child’s room. This game is perfect for a rainy day and it’s so simple to make. With just an empty oatmeal container, paper plate, and constructions paper, you can whip up this fun activity to play with your kids in no time! These paper suitcase “books” are so cute to create with your child. They can decorate them however they want and then use their imagination to write about they awesome journeys they plan to go on. This activity is the perfect accompanying craft to the book Oh, the Places You’ll Go. Have you ever wondered what it would be like to style your hair like Cindy Lou Who? The secret? It’s pipe cleaners and a ridiculous imagination. Follow this guide to make your little girl’s hair into a crazy ‘do just for fun! Look at what you can make with just a box of Trix, marshmallows, a little butter, and popsicle sticks. These “Truffula Tree Treats” make a tasty everyday snack or even great party favors for a your child’s birthday party. 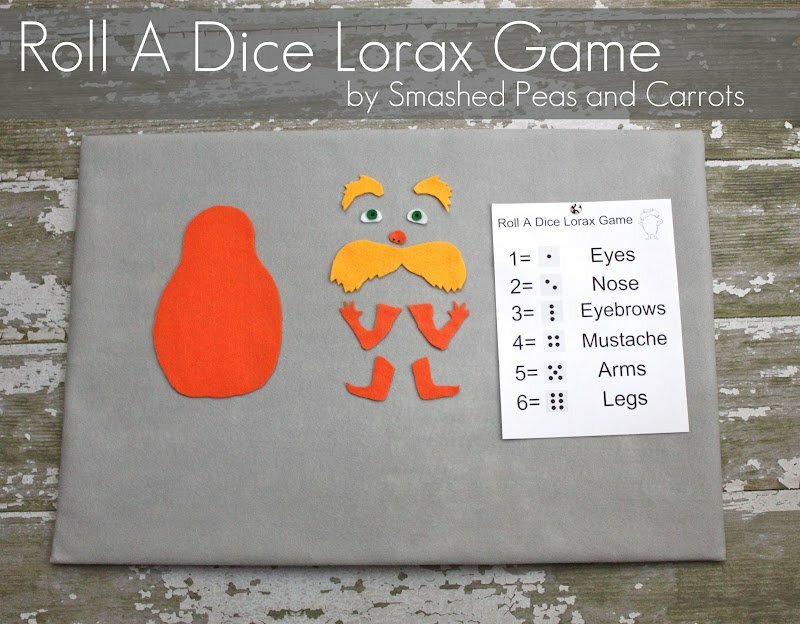 Build your own game with felt pieces and watch as your kids have a blast with this cute little Lorax. You can find a tutorial on how to make the game and a template for creating the game pieces by visiting this link! With some yarn, a hole punch, scrapbook paper, and tape your kiddos string up their own “pockets” on paper. Not only that, they can draw their own friendly “Wockets” to live in their pockets! 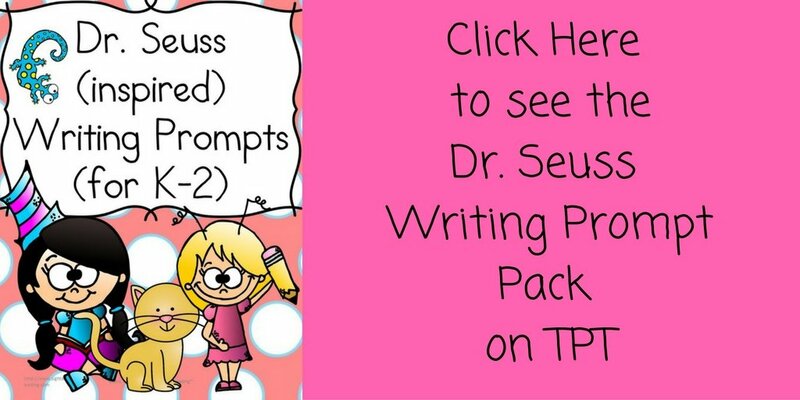 Are your kids well-versed in all things Dr. Seuss? Get your whole family involved with this fun version of charades where everyone can act out their favorite characters from the Dr. Seuss books! Show your kids the importance of being active by doing these fun exercises inspired by their favorite books! You probably never thought green eggs and ham would taste good until you tried these cookies! Make these super easy treats and settle down with your munchkins to read Green Eggs and Ham. 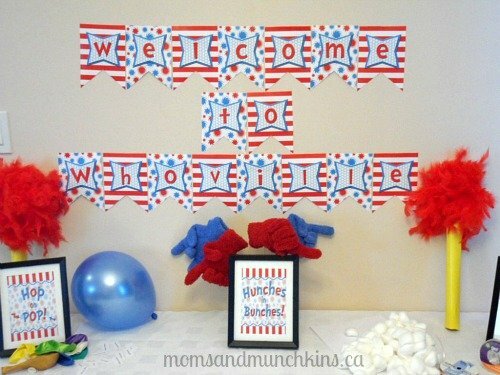 Want more Dr. Seuss inspired Kindergarten activities? 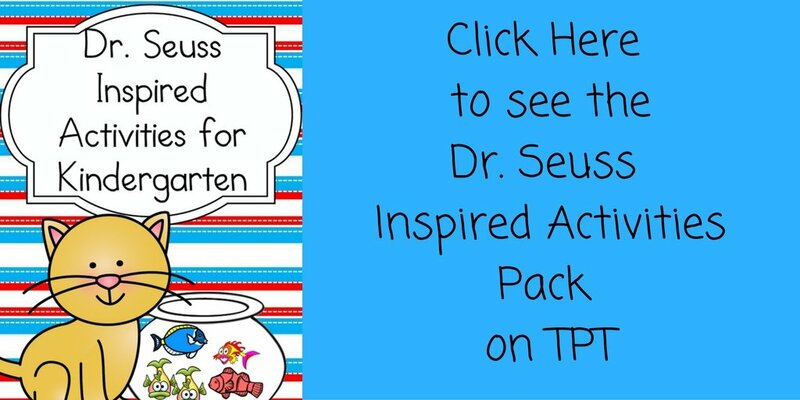 Check out our Dr. Seuss inspired Kindergarten activity pack on TPT! He is the best! I was so excited when his new book came out…What Pet Should I get. Fun that they found a new one to release after all these years.